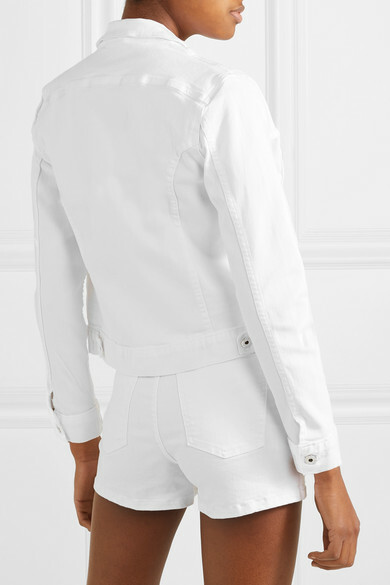 EVE Denim's 'Kaila' jacket is now available in this optic white hue. 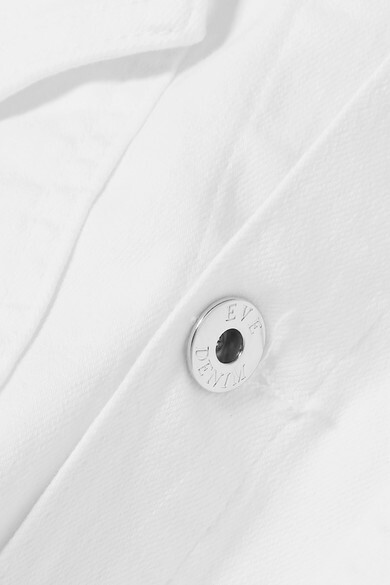 It's made from the label's premium, pure cotton denim in a cropped length that hits just below the waist. Wear yours with the matching shorts. Shown here with: 3.1 Phillip Lim Top, Loewe Shoulder bag, Vince Sandals, Maria Black Earrings.